Ted Cruz, right, talks to Jeb Bush after a Republican presidential primary debate, Thursday, Jan. 28, 2016, in Des Moines, Iowa. 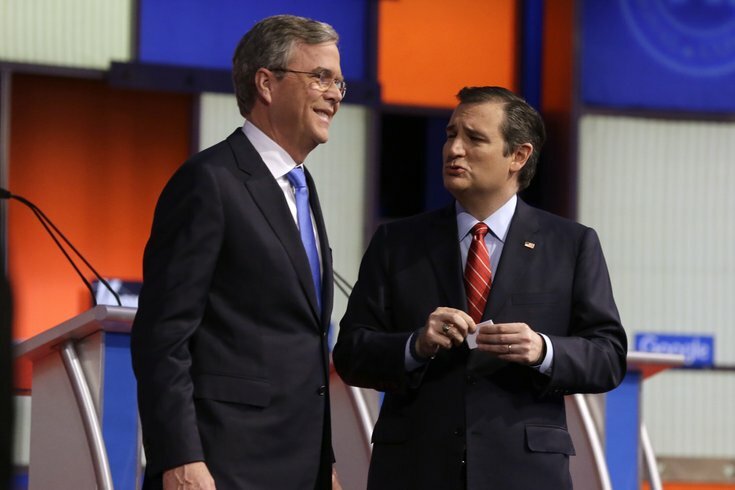 Jeb Bush announced in a Facebook post on Wednesday that he is endorsing Ted Cruz for the 2016 presidential race. "Ted is a consistent, principled conservative who has demonstrated the ability to appeal to voters and win primary contests, including yesterday’s Utah caucus," wrote the former governor of Florida, who ended his own presidential campaign in February. He spoke in dire terms of the problems facing the country, saying both that "Washington is broken" and that "Western civilization is under attack from radical Islamic terrorists." Taking a swipe at Donald Trump, who often mocked him for being "low energy" on the campaign trail, Bush said, "For the sake of our party and country, we must move to overcome the divisiveness and vulgarity Donald Trump has brought into the political arena." Bush's younger brother Neil joined Cruz's campaign as a fundraiser earlier in the month, CNN reported. Cruz said in a statement to CNN, "I'm truly honored to earn Governor Jeb Bush's support...His endorsement today is further evidence that Republicans are continuing to unite behind our campaign to nominate a proven conservative to defeat Hillary Clinton in November."